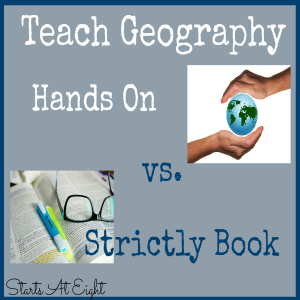 Geography lends itself to some fun games. 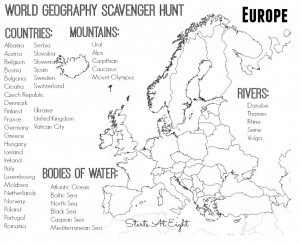 One of the things my children like to do is a sort of atlas scavenger hunt. 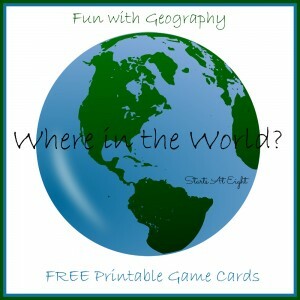 For this reason I am creating a series of World Geography Scavenger Hunt printables. 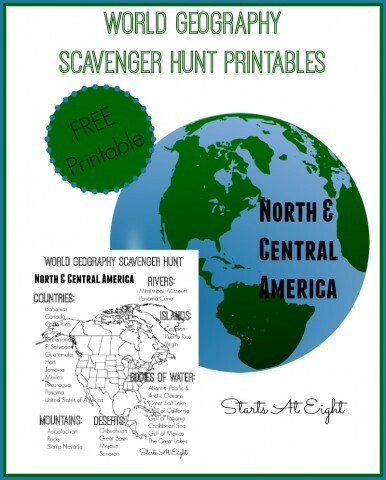 This North & Central America printable is the second in my series of World Geography Scavenger Hunt printables. 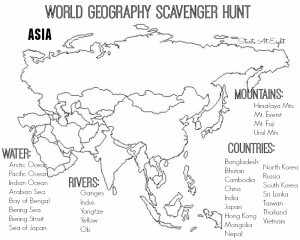 The other four World Geography Scavenger Hunt printables are South America, Africa, Asia, and Europe. The city with the largest population in North America is Mexico City, Mexico. The most populous country is the United States (2010 census). 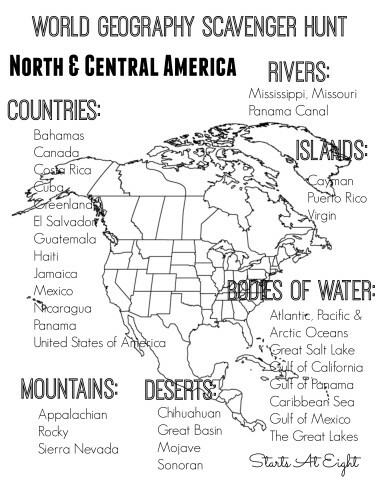 The longest river in North America is the Mississippi-Missouri River System. Lake Superior is the largest fresh water lake in the world by area. It is located on the border between the United States and Canada. The country of Greenland is the biggest island on the planet. The North American and South American continents are thought to have been named after Italian explorer Amerigo Vespucci. Canada is slightly larger than the United States in area making it the second largest country by area in the world (after Russia). 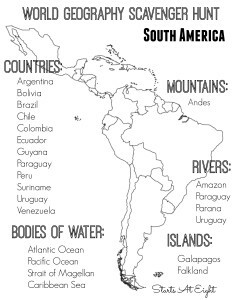 There once was a country called Central America. 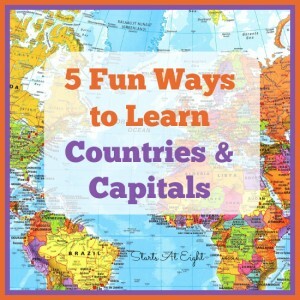 Today it is divided up into Guatemala, Honduras, El Salvador, Nicaragua, and Costa Rica. The Panama Canal allows ships to cross Central America from the Pacific Ocean to the Atlantic Ocean. The canal is a manmade construction that traverses 50 miles across the country of Panama. 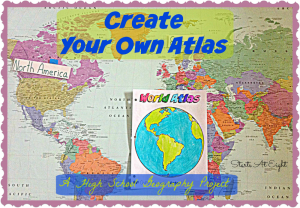 Get out your wall map or atlas and get ready for some fun! 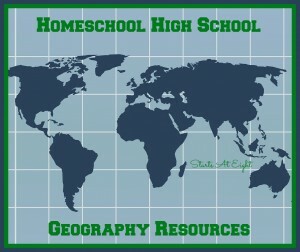 Need some suggestions for map/atlas resources? 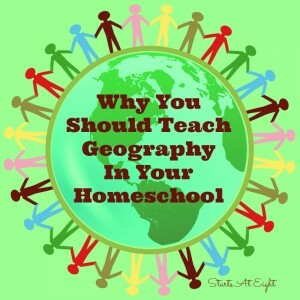 Check out this Geography Resources article. If you want to do this on an individual basis as more of a mapping exercise, consider purchasing Wonder Maps from Bright Ideas Press. It is a mapping software that includes political, physical, and historical maps. It allows you to select what features you want to show on the map and then print out as many copies as you need. 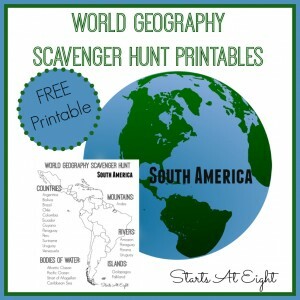 Print and use all the World Geography Scavenger Hunt printables! I will link the rest of the series here as I create them! Thanks for putting this together! I’m Pinning this for later (maybe to use this summer). I hopped over from the Mom2Mom linkup. Thanks for stopping over Carolyn. 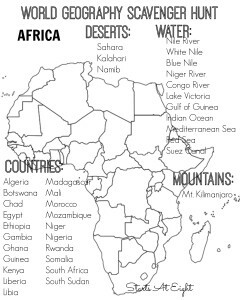 This has been a fun resource/game for geography in our house this year! Thanks so much; these are amazing! Found it! These are wonderful! Thank you for the resources. So glad they could be of use to you!